Does your child own a fidget spinner? Or perhaps you made a DIY version? 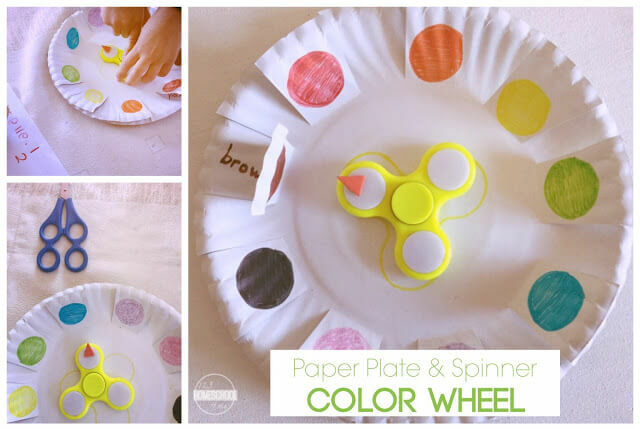 Use the spinner together with paper plates for this Color Wheel Fidget Spinner Activity idea! 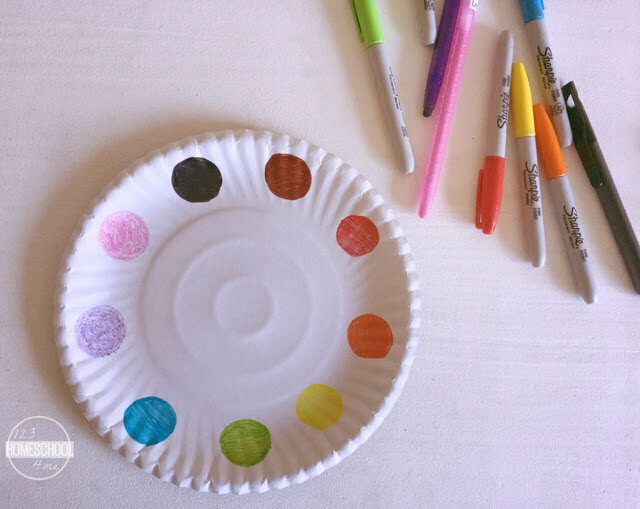 Add the circles of colors around the one plate. I *tried* spacing it out without much planning. You can measure it out and let the older kids figure it out as part of a lesson too. 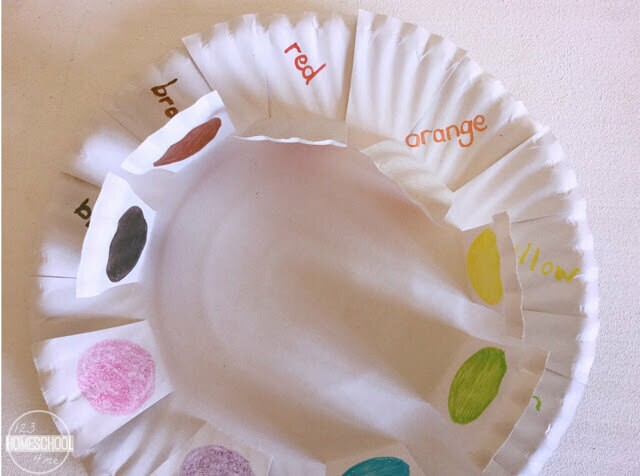 Then, add the color names to the other plate. Cut the flaps as shown below and glue the two plates together so that the corresponding color is atop of the color name. Draw a spinner shape in the middle of the plate where the spinner should be placed. 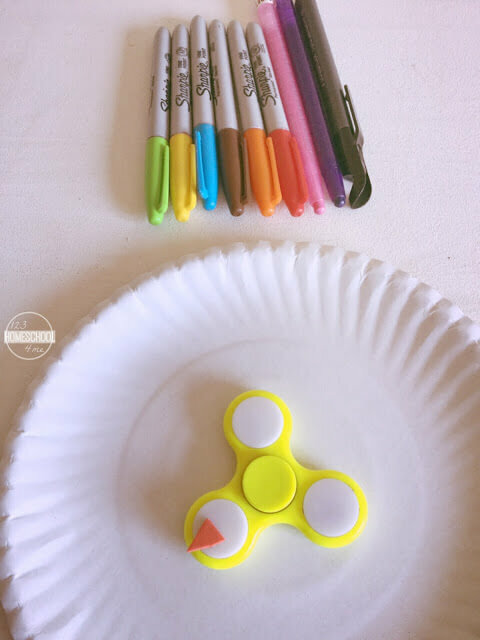 Add a tiny arrow from paper, cardboard or craft foam to the spinner. Ready to play! Color scavenger hunt: Find a blue object, for example, first player back get the point! Touch a color: touch a certain color in the room, first player that touches correct color gets a point! Do you wear *color* today? Get a point for each color. Spell the colors name: everyone gets a point for correct spelling of color name. 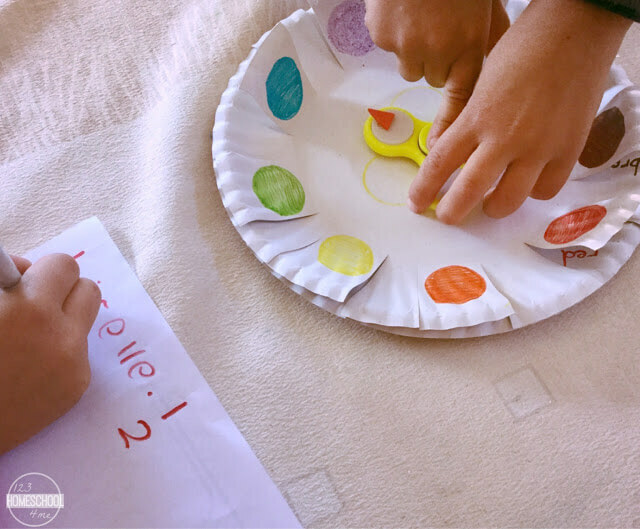 A fun and educational way to use a spinner! Would your children like this activity?